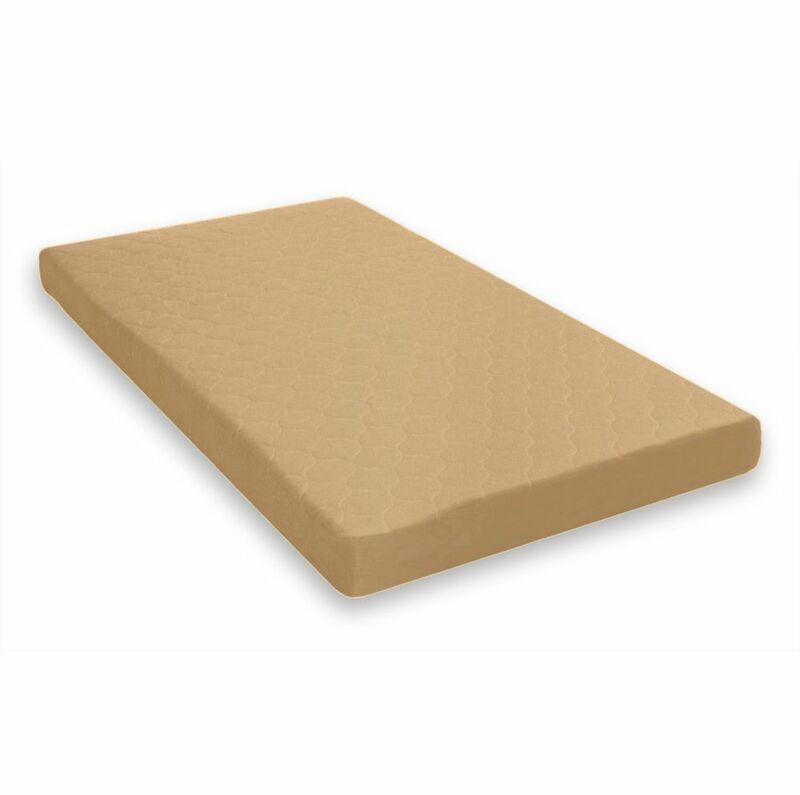 6 Inch Twin Quilted Top - Bunk Bed Mattress, Tan is rated 3.3 out of 5 by 3. Rated 1 out of 5 by Harsh from Very bad I bought this month ago and I found it worst. This is not the product they have described. Rated 5 out of 5 by Shops2much from Good value for the price Better than expected for the price. Bought this to top my pull out couch mattress to add some comfort. Works better than expected. Rated 4 out of 5 by Erika from Great price and quality! Great mattress. Purchased for my sons DHP Loft Bed. He says it’s comfy. Only con I have with it, is the box it comes in squishes it so bad it leaves a permanent groove in the middle of the mattress. But seems okay for my 6.5 year old! Will be purchasing a memory foam for the top to try and even it out! Other than that it is great!